The American withdrawal from the Paris Agreement to fight climate change came as the bunk about impeachment and collusion of the Trump campaign with the Kremlin dies down, and on a day when the United States moved to all-time stock market highs as measured by Dow-Jones, NASDAQ and S&P, and the Commerce Department posted stunning 3.8 per cent annual economic growth figures. In the same week, the British election suddenly went wobbly, Canada elected a new federal opposition leader, and curiosity about the improbable couple that has just moved into the Élysée Palace, residence of French presidents, has torqued up appreciably. As President Trump explained on Thursday, the Paris Agreement was a farce, designed to erase from memory the fiasco of Copenhagen in 2009, where nothing was agreed and which is chiefly remembered for the unedifying spectacle of President Obama chasing around, in unsuccessful pursuit of an interview, the premier of China, and for his stillborn project of a $100 billion fund for the benefit of the most primitive and mismanaged countries of the world, such as Zimbabwe and Venezuela, as tangible apologia and repentance by the most economically advanced countries for having committed the effrontery of being prosperous. China, chief polluter of the world, most populous of the under-developed countries, and the second greatest economy after the United States, po-facedly elected itself head of the G77 — the vast train of countries advancing toward Obama's fund (that was never endowed) with outstretched arms and cupped hands. It must have been one the most absurd meetings of national leaders ever, and Paris learned its lessons. All countries were to submit in advance their pledges to self-determined levels of carbon dioxide emission reduction, and all were approved without serious analysis. China's consisted of a promise to start to reduce its carbon emissions in 2030. The whole exercise was not just a fairyland of fiction, it was also a solemn compact of cowardice and hypocrisy: the leaders of the world acknowledged the unproved truism that carbon dioxide emissions are causing a rise in world-wide average temperatures, and pretended that espousing goals but not pledging to try to achieve them would cause the perceived problem to abate. 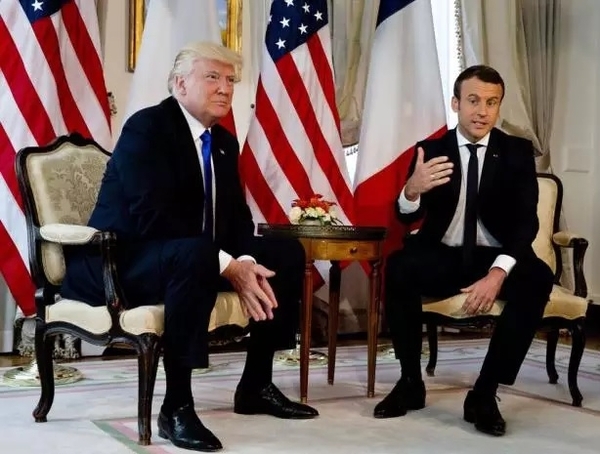 There is almost no truth to any of it, and everyone should be grateful to the American president for blowing up the trite compact of the other leaders that Paris had really fended off a problem. Paris was a placebo for those aroused to moral outrage and political activism by the almost unchallenged political and pseudo-scientific agitation of the climate-change alarmists these 30 years. Having been routed in the Cold War, and domestically in the West by Ronald Reagan and Margaret Thatcher, the international left retreated into the unsuspecting arms of the 1980s environmentalists: butterfly and bird-watchers, the Sierra Club, Ducks Unlimited, genuine conservationists who cherish nature and abhor pollution. These earnest people were suddenly shouldered aside by the militant left, hardened by the severe defeats they had suffered, who transformed a benign advocacy of an unspoiled environment into a spurious assault on the capitalist system as the engine of planetary suicide via its industrial and consumerist assault on the environment. Naomi Klein, proclaiming "This changes everything," was Canada's own doughty young female champion in this cascade of economically self-punitive nonsense, Rosa Luxemburg redux. The president of the United States spoke the truth, and the world will be grateful to him for it. The United States is back to 1994 levels of carbon dioxide emissions and has been eminently responsible and a world leader in rolling back dependence on carbon. The world temperature has risen one centigrade degree in 82 years, and if every target of the Paris Agreement were met, the effect on the world's temperature to the end of this century would be about one fifth of one centigrade degree. It is the masquerade of weak office-holders unable to face the wrath of a misguided public opinion they had allowed to be shaped and brainwashed by charlatans like Al Gore and well-meaning naifs like the Prince of Wales. Donald Trump is the emperor who pointed out that the eco-rabble have no clothes. In Britain, Theresa May, who appeared to be a shoo-in for 450 out of 650 MPs a month ago, now seems unlikely even to win a majority, though she still seems to be leading the largest party. The Labour Party leader, Jeremy Corbyn, whom the Labour MPs wished to dump, and whose shadow cabinet quit en masse, is an antique democratic Marxist who makes Bernie Sanders seem like Herbert Hoover. Tony Blair's New Labour of 20 years ago has come full circle to the most communistic Labour leader in that party's history. All that can be said for New Labour is that it took three terms to squander what the Conservatives under Margaret Thatcher and John Major had built up. No other Labour prime minister had consecutive full terms. If the trend at time of writing holds, Boris Johnson would presumably replace the inept May and dance through a year or two with the resuscitated husk of the Liberal Democrats, and regain a Conservative majority. From editor of the Spectator (which my associates and I owned), to mayor of London, foreign secretary, and then prime minister in four bounces through 16 years would be the most astonishing path to 10 Downing Street since the young (and still sane) George III appointed his former tutor, the Marquess of Bute, to that post in 1762. As I have written here before, Boris Johnson and Donald Trump would eccentrically revive the productive comradeship of Winston Churchill and Franklin D. Roosevelt and of Margaret Thatcher and Ronald Reagan. The new French president Emmanuel Macron, and his wife and former school-teacher, Brigitte, 24 years his senior (Macron has step-children older than he is), are also a unique tandem. He is a talented pianist and they both have formidable cultural and academic qualifications. He was a successful and quickly wealthy banker from Rothschilds, who deserted the Socialist Party while serving as an unelected government minister, founded a political party, practically composed only of himself, and became the youngest president in French history at 39. He will have to rely on Gaullist support to govern after the parliamentary elections later this month, and is a mystery in policy terms: a master of elegant but unfathomably unspecific French phrases, who has set himself at or near the head of the Euro-federalist and climate change activist movements; telling President Trump, in the first English words telecast from the Élysée: "Let's make this planet great again." He is either an authentic genius of broadly-encompassing talent, wisdom and precocity, which is certainly what France needs, or a raving charlatan who has put one for the record books over on the preternaturally cynical French. Some of his aphorisms are so obscure, he almost seems like Peter Sellers as Chauncey Gardner in the film "Being There." This will be as interesting a political scene as the British, and I suspect that after the immovable Angela Merkel wins a fourth term as German chancellor in September, she and Macron will require Brussels to produce a two-tier Europe — common markets but with and without political integration. That might keep Britain in Europe after all. If Andrew Scheer and Maxime Bernier, who finished after 12 ballots in the federal Conservative leadership race less than two points apart, can work closely together, they could present a serious challenge to the Liberals. Scheer will have more personal appeal than did Stephen Harper, and if Bernier is given plenty of authority in Quebec, he could raise the Conservative vote there. Scheer is younger than Justin Trudeau, who is suddenly the senior Western man among the G7 leaders. His re-election largely rests on the continued success of the Trump administration in pulling the whole continental economy sharply upward, as he has helped the Alberta NDP government by approving the Keystone XL pipeline. If so, it would continue a remarkable trend seen of late — rarely have political bedfellows been more improbable than they are now. The photograph of the 81-year old Saudi King Salman sword-dancing with President Trump could soon be a collector's item like the pictures of Joachim von Ribbentrop being greeted by Joseph Stalin in 1939 and of Richard Nixon shaking hands with Mao Tse-tung in 1972.